Comfortable and stylish, this wonderful footstool is upholstered in a black fabric that has the look and feel of genuine cow hide. A pleasure to sit on or to rest your feet. 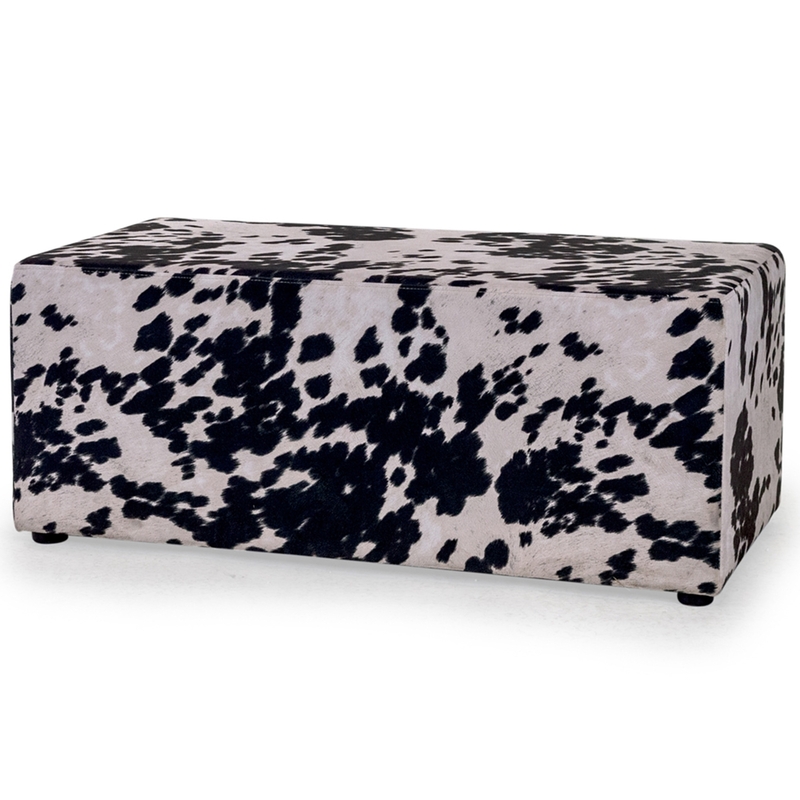 From our collection of modern seating, this wonderful white and black patterned fabric footstool will impress across generations.